Now, two years into the program, Nicole Rangel and her fellow teachers at the school in Yuma, Arizona, couldn't be more pleased. "I have teachers begging me to send a kid down to help them," she said. As more school districts move to one-to-one computing—meaning every student is assigned an electronic device—many are looking to students to help keep the equipment up and running. 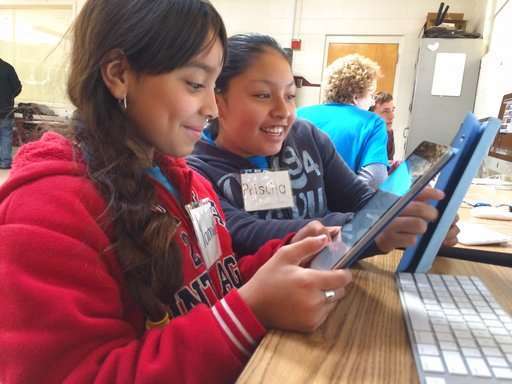 Giving that responsibility to students makes sense since they often are quicker than adults to adopt and understand new technologies, said Dennis Villano, director of technology integration for the Burlington Public Schools in Massachusetts. The school district launched a tech training program at its high school in 2011 after buying 1,100 iPads for students and staff. At the time, the district's Information Technology department consisted of two people. "There was quite a bit of panic about how we would deploy and support the technology," Villano recalled. "Our one-to-one program has been successful in large part because of the help we got from students at the high school." Kid-led help desks are an economic way for schools to advance their technology offerings, and provide career skills and workplace-type experiences for students, said Dennis Harper, CEO and founder of Generation Yes (GenYES), a Tumwater, Washington, nonprofit created to help school districts develop student-led technology programs. Some schools offer the program as a class for credit; others create a club that students join on a volunteer basis. In most schools, students are an underutilized resource with much to contribute, Harper said. "About 90 percent of the people in school are students," he said. "They have a lot of energy and they're pretty tech-savvy. So why not tap into that energy and experience and get kids to help support technology?" Once trained, students tend to step up and become successful technicians, he said. Schools use them for fixing technical problems; setting up devices; creating and maintaining websites; posting blogs; staff training and more. The Burlington schools have since expanded their program to elementary and middle schools. The help desk operates as a club in the lower grades and as a class for older students. Teachers provide basic lessons, and require students to spend time troubleshooting issues and watching IT-related videos. "Students are the first level of defense" for the district's IT department, Villano said. 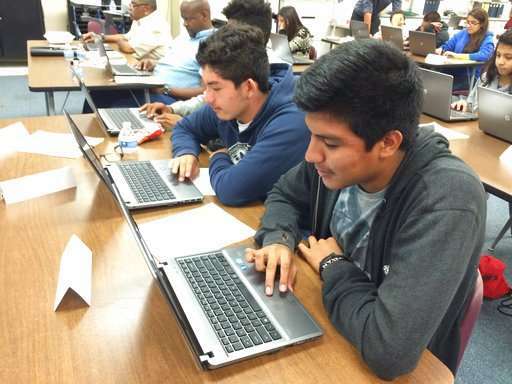 The district modeled its program, which has attracted attention from schools around the country, after Apple's Genius Bar help desks, offering tech help throughout the day. Students also lead professional development courses, and help teachers develop websites and lesson plans. Students in the high school class use their down time to work on more advanced technology projects. "It's been really useful for me," said recent graduate Katherine Ellis, who in addition to helping with computer repairs also worked on a documentary about the school's hockey team. "I liked the challenge of it. If a student comes to you with a problem, you have to search for the solution. It was really good to be able to help the other students and teachers." Teachers love the program at Crane Middle School because they get immediate assistance, said Rangel. Before Crane schools started working with Generation Yes, staff members could either call the small IT department for help or wait until Fridays, when technicians would come. Now, teachers file a work order and Rangel assigns a student to look into it right away. Students in the year-long class help with log-in issues, download and install apps, merge devices with projection screens and more, she said. At Shadow Mountain High School in Phoenix, some teachers prefer working with the students because they are less intimidating than the district's IT staff, said Tracy Mills, a Generation Yes adviser. "Sometimes, the students put it in simpler terms," she said. 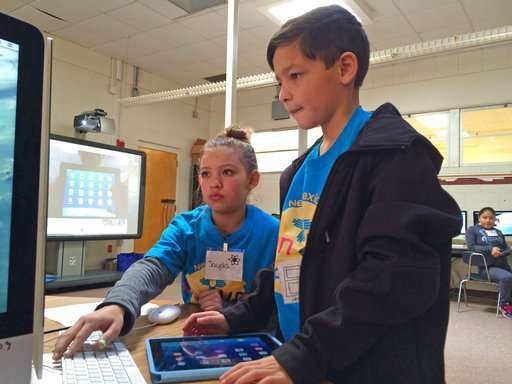 Shadow Mountain's program, which operates as a club and a class, attracts kids who love technology as a hobby, and some who want to pursue it as a career, Mills said. Rangel said students in her school's program are often nervous at first about instructing their teachers, but soon become more comfortable. "They can walk into a classroom with confidence and direct the whole class, or work one-on-one with teachers," she said. "They just blossom." Mobile phones in schools—educational tool or distraction?